Last month I decided to join a group of very talented wine writers in a monthly creative writing challenge centered around…you guessed it…wine. The competition began six months ago around the idea that it is easy to get bogged down in the facts and figures of wine writing. The Drunken Cyclist thought it would be both unifying and inspiring to have a themed writing challenge and MWWC was born. If you look at the title and you’re a TLA (three-letter acronym) genius, you may have already guessed. This month’s theme is…Devotion. Get it? Olivia Newton-John? Yes, I went there. Now before you ban me for gifting that lovely little earworm and visions of poodle skirts and John Travolta, let me explain. Since February is coming, that means Valentine’s Day isn’t far behind. I didn’t want to go cliché and ostracize Hallmark cynics with “romance.” But I wanted to give opportunity for you to turn up the Andrea Bocelli and let the wine and syrup flow if so inclined. But devotion…that’s a concept we can all get behind, no? Maybe you are devoted to turning you hobby into a career and spend endless hours of your free time developing that dream. Perhaps you stay home with your children and give up hours of sleep, pour out every bit of patience (and then some) and give them your last bites. Maybe you are caring for a loved one, building a start-up, spending your weekends mentoring. You can take the idea way beyond cupids and smooches. Or not. I’ve copied DC’s rules and am using his timeline as a guide. I may or may not have time to write something original, but when I thought about the idea, I though about an angle I may want to develop. If you’re new to SAHMmelier, you’ve not likely read the story of how I began writing. I took the story of a favorite winery, six generations of devotion, and created a poem to tell that story through the life-cycle of the vine. Sometimes devotion is diamonds and roses and sometimes it is soil and sweat. I look forward to reading your take on the topic. And thank you. Thank you for voting for my piece and for entertaining and inspiring with yours. Write a post based on this month’s theme: “Devotion”. The post should be at least tangentially related to wine (after all, it is the name of the challenge!). 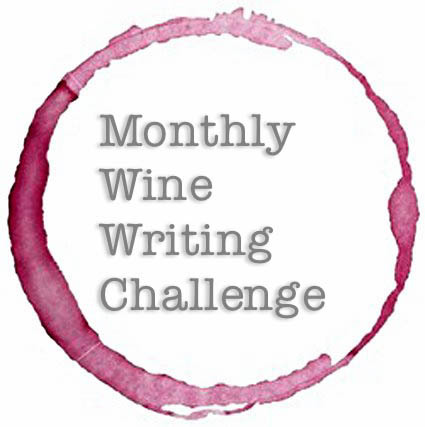 Include the Monthly Wine Writing Challenge badge that was designed by the very first winner, The Armchair Sommelier. Once you post on your blog, link back to this post (or somehow notify me), and I will be sure to include a link here as well as on all subsequent posts about this month’s challenge. It would be great if you tweet a link using the hashtag #MWWC7. Monthly Wine Writing Challenge: Mystery–the Results! http://renenutet13.wordpress.com/2014/02/13/in-praise-of-bacchus/ Here’s mine. Great choice of theme – it really made me think! I’m in! Not sure where to post this to enter so I’m sending another link. If this isn’t the right place, let me know. Thanks! Will have to pour a glass soon and enjoy. Right, I’m in this month! Just got to learn how to spell first! Excellent choice of theme, as I am just seeing it I am not sure I will participate this month, but will try. Really enjoy your writing. Thank you! Hope you can find time to throw somthing together. Awesome! Recovering from my 6yr olds party but will post in morning! So, one thing is clear in the #MWWC7 Challenge. I am doing a poor job as host. I’ve been remiss in reminders and promotions. I apologize. I’m knee-deep in tile samples and cabinet quotes. I’ve been shaping satin and amking pin-the-nose on Olaf games for my daughter’s Frozen birthday party. My creative juices are running dry, but hopefully things are different for you. Hopefully you’re using the snowdrifts and arctic attacks as fuel for your writing fire. You’ve got one week to show us what stirs your devotion. Or someone else’s. Or maybe you can just talk about what you drink when you watch Sandy serenade Danny. For some inspiration, check out Foxress’ love of Madeira on her blog, From Vinho Verde to Barolo with Love. Send me your links when you have them and I’ll post below. In the meantime, stay warm and wish me luck on my attempt to sew an Elsa dress. Glad to hear! Looking fwd to reading it. It is on ! Great theme, it might be hard for me to come up with an angle but the possibilities are endless ! OK, so when it’s ready, we just post it? Providing we have the criteria in place? First time for me, so I want to make sure I follow the rules! Yes, post it and send me a link. Looking fwd to reading it! Looks like you’ve already got one…devotion to writing even when time doesn’t allow. Glad to hear and look fwd to reading. Interesting theme! Devoting oneself to a particular wine is hard because its very nature shifting, evolving, and then drunk and gone. We shall see! What about devotion to learning about one particular wine? I like that. Imagine a month of only Taurasi! Find Mastroberadino. It’s worth it. But of course! Have you chosen your angle already? Oh, yes that makes sense. Connotations are interesting things, aren’t they? Oh I did Burgundy last time!! Hmmm… Going to have to think about this one long and hard. Love it!! And congratulations again! Thank you! I look fwd to seeing what you come up with. Excellent! Long live the MWWC!